Rab LED High bay fixture in polyester powder coat finish, features die-cast aluminum housing. Fixture in white color, has tempered glass lens shade and specular vacuum metalized polycarbonate reflector. 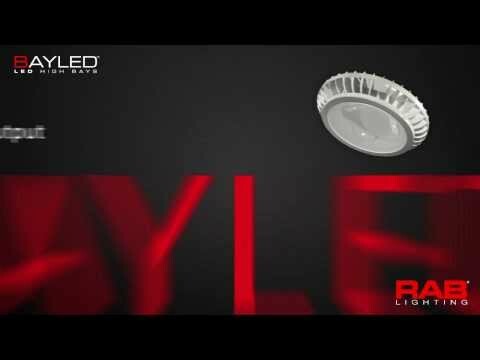 It has 78-Watt 68 CRI 5100K LED that offers 7463-Lumens light output. Lamp has voltage rating of 120 - 277 Volt, current rating of 0.4 - 0.82-Amp and frequency rating of 50/60-Hz. Lamp has average life of 100000 hours. Round fixture with Class 2 constant current driver, is hook/chain mountable. 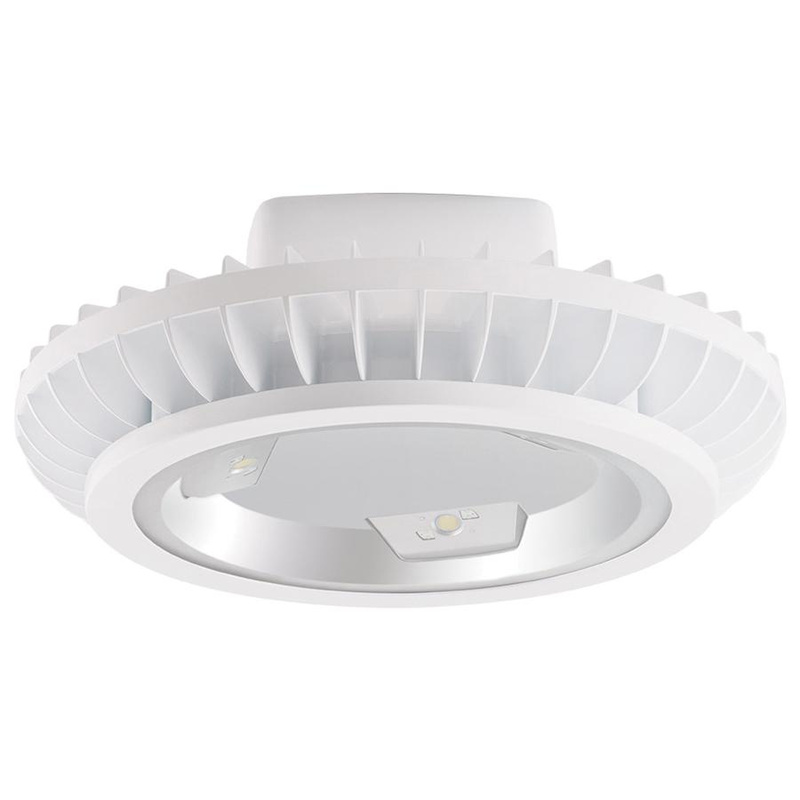 It measures 12.5-Inch Dia x 9.375-Inch and withstands temperature rating of 55 deg C. LED High bay fixture is UL listed and RoHS compliant.